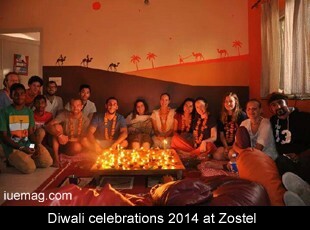 How Zostel is changing the way India travels - one hostel at a time! For a travel enthusiast the things that matter the most when it comes to accommodation are security, cleanliness, good location and affordability. The Indian hospitality space, however, was lacking in places that could satisfy all these criteria simultaneously. This is where Zostel came into picture. Founded in 2013, on Independence Day by 7 ambitious IIT-IIM graduates, India’s first branded chain of budget backpackers’ hostels took birth in the Blue City, Jodhpur. Since then, Zostel hasn’t slowed down and hasn’t looked back. Currently, operational in 7 happening tourist spots namely Jodhpur, Jaipur, Udaipur, Agra, Goa, Varanasi and Delhi, they are looking to add up to 30 more hostels by 2016. Having initially bootstrapped the venture, the founders participated in a number of business plan competitions and won all of them including the ones run by the Richard Ivey School of Business, Canada, Indian Institute of Technology, Bombay, and the Wharton India Economic Forum B-Plan contest. Presha Paragash, a Malaysia-based angel investor, also pitched in Rs. 5 Crore. “As avid travellers ourselves, we realized that there was a serious lack in affordable, clean and safe accommodation in tourist spots in India, whereas the U.S. and Europe were brimming with backpackers’ hostels,” says Paavan Nanda, one of the Co-Founders. “In India, you either get expensive hotels or dingy guesthouses, and we wanted to fill the gaping void with our Zostels that offer you facilities that are on par with international standards, but at an affordable price,” he explained. The properties that Zostels operate out of are all centrally-located. 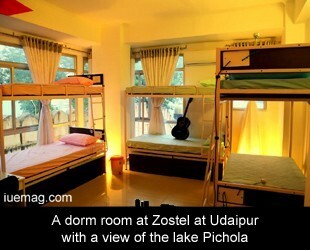 They offer both dorm rooms that travellers share with each other, as well as, private rooms. There are also female-only dorms. Facilities like 24*7 air-conditioning, Wi-Fi, laundry, secure lockers, as well as, interactive common rooms with games and books are provided. “We place utmost importance on affordability, cleanliness and security. In fact, we have plenty of female solo travellers staying with us without any worries,” says Nanda. 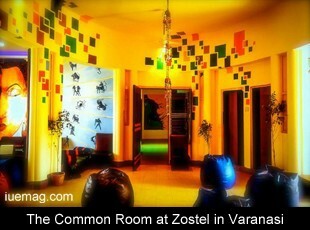 “The hostel culture is the best part of the Zostel. As a traveller, you get to meet a lot of individuals from all over the place. Our common rooms are always brimming with people having a good time! We are 600-beds strong at the moment, and the number is fast increasing,” he explains happily. Currently, the Udaipur and Varanasi Zostels have restaurants for the members and they have planned to introduce eateries at all their properties. In a bid to inspire the Indian youth to travel, Zostel came up with the Best Internship Ever in 2014. “We chose 4 interns to travel across India for 50 days. They covered 21 amazing places in the country and we offered them Rs. 50000! That’s why we called it the best internship ever”, he says with a smile. “It was highly popular, we received over 70,000 applications!” he adds. Zostel also brought the world’s largest beer festival (Oktoberfest) to the City of Lakes as ‘Zoktoberfest’ offering unlimited beer, food, music and a night’s stay - all by the lakeside at their hostel in Udaipur. “The party was housefull and a huge success! We had as much fun throwing the bash as the guests enjoyed at the party, and that is the best part,” says Paavan. Nanda says that one of the toughest tasks they faced was handling operations. “When running a hostel chain, there’s a lot of “brick-and-mortar” work unlike a business on the internet, and we need to keep the price ceiling in mind,” says Paavan. “Scouting the right property is paramount which is a huge problem. Once we find one that is in the heart of the city, we work on putting in the ‘Zostel touch’ - furnishing, marketing, branding among other things,” he describes. While the target audience is in the age group of 18-35, there has been an increase in the number of couples and families visiting Zostel. Around 60% of the guests are foreigners, and the concept is gaining popularity with the Indian youth. The atmosphere at Zostel is laid back and their mascot, Zobu, a young and ever-smiling enthusiastic backpacker, adorns their bright orange walls. 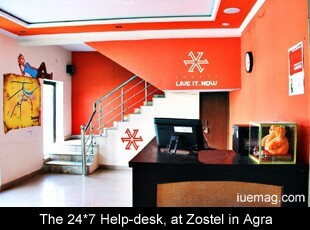 They also have a help-desk where the Zostel staff helps the guests with booking tickets and planning itineraries among other things. “We want to be the biggest youth brand in the country. We are already number 1 on TripAdvisor in all the cities we’re operating in, and we’re eager to open many more hostels across the country,” says Paavan excitedly, talking about the future. With a clear vision to change the way India travels, it’s no wonder that their tagline is the fitting phrase ‘Live It Now’! Gayathri Sitaraman is a contributing writer at Inspiration Unlimited eMagazine.